Cozy Downtown Colorado Springs, Colorado 1 bedroom Vacation Rental Apartment! Santa's Cozy Mountain Suite Get Away! Location, location, location!! 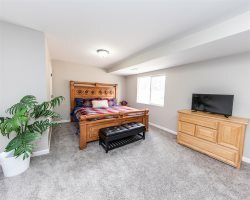 This cute and comfortable downtown apartment is located close to all that downtown Colorado Springs has to offer. 1 bedroom with a full bath, and full kitchen, approximately 600 sq/ft. Air conditioning, WiFi and cable tv are all included. This is a quiet neighborhood very close to downtown Colorado Springs, a perfect location to tour the city and surrounding areas. This comfortable apartment is comfortable and well furnished. This location is ideal to access downtown Colorado Springs, the West Side, Manitou and Fort Carson, I25 access. My husband and I had a wonderful time exploring Colorado Springs. The apartment was the perfect size for the two of us. We had everything we could need at the apartment. Having a nice place at the end of the day made for a wonderful and relaxing trip. Thank you so much for all the extra touches you provide for your guest to make them feel at home. The views were also amazing from all the windows, waking up to see the mountains was very nice. We loved the cozy apartment that we stayed in. The hosts were very easy to work with. and if any issues arose, they were quick to respond. Very well kept apartment with all the comforts of "Home". Thank you for the opportunity to stay here while in Colorado Springs. Also, beautiful views of mountains. Thanks again! sincerely Jill H.
Everything was great! There were a few random things like spotty WiFi, no coffee, and zip lock bags, but we werent expecting any of those things anyways. It was very comfortable and had plenty of room. Would recommend to a friend. This little apartment was a the perfect home away from home for my friends and I. Clean and a wonderful location.